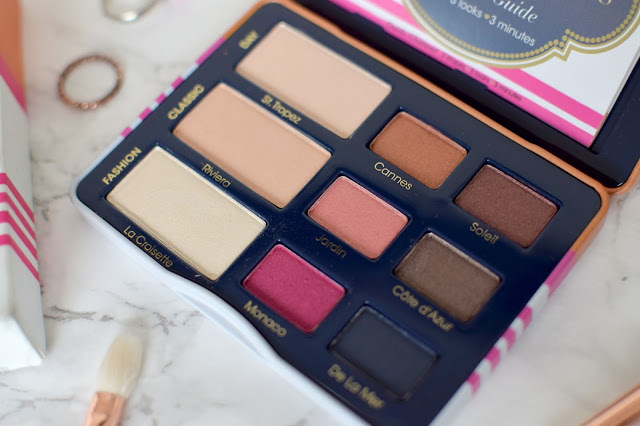 While peroozing the beauty section in TK Maxx the other day, I thought I was seeing things when I came across the Too Faced a la mode Eyes Palette. Expecting the discount to be totally rubbish I nearly fell down when I saw the £7.99 sticker! This palette is currently selling at £32 in Debenhams etc! 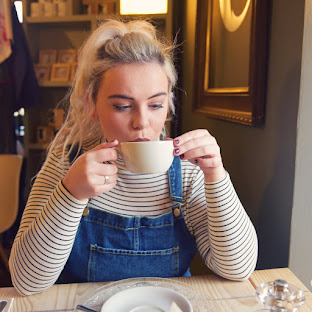 I reckon people really underestimate TK Maxx, when I was younger my mam always loved it and I thought it was full of a load of old rubbish no one wanted in the first place! But now I'm older I know that's far from the truth. 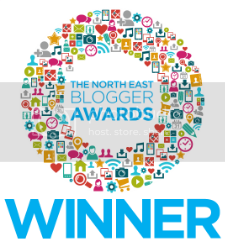 I honestly think I'm an expert at finding great deals there now, it's definitely my favourite shop! So now you know the tale of how I came across the palette, I'll tell you what I think of it! I really love the packaging, the metal tin seems quite study and would be good to travel with, reminds me of the Naked 2 & 3 packaging. The palette comes with a little booklet which features 3 different step by step makeup looks, to correspond with the way the shades are laid out in the palette, the day look, the classic look and the fashion look. I think this is a nice touch, especially for someone who might not be confident applying eyeshadow. Behind the little booklet is a decent sized mirror which is always a bonus. The palette has 9 shades in total, starting from the top row L-R, St.Tropez (a pale beige with a satin finish and golden shimmer), Cannes (a gorgeous sparkly coppery orange shade), Soleil (a warm red toned brown with a frosted finish). Second row, L-R, Riviera (a warm light golden beige shade), Jardin (a coral pink shade with golden shimmer), Cote d'Azur (a dark warm toned brown). Bottom row, L-R, La Croisette (a gorgeous bright white gold with a metallic finish), Monaco (a pearlescent cool toned bright pink), De La Mer (a cool toned dark blue with navy shimmer). This is my first Too Faced palette and I can see why everyone raves about their eyeshadows. I've been eyeing up the Chocolate Bar palette for a while now. There isn't one shade in here that I'm disappointed with. With the exception of Monaco, all the shades are so wearable, day or night! The shades are so so buttery, so easily blended. The pigmentation of them is fab, they don't produce to much fall out either. My only criticism is that there aren't any matte shades in this palette, but apart from that I'm super impressed. Keep your eyes peeled in TK Maxx! 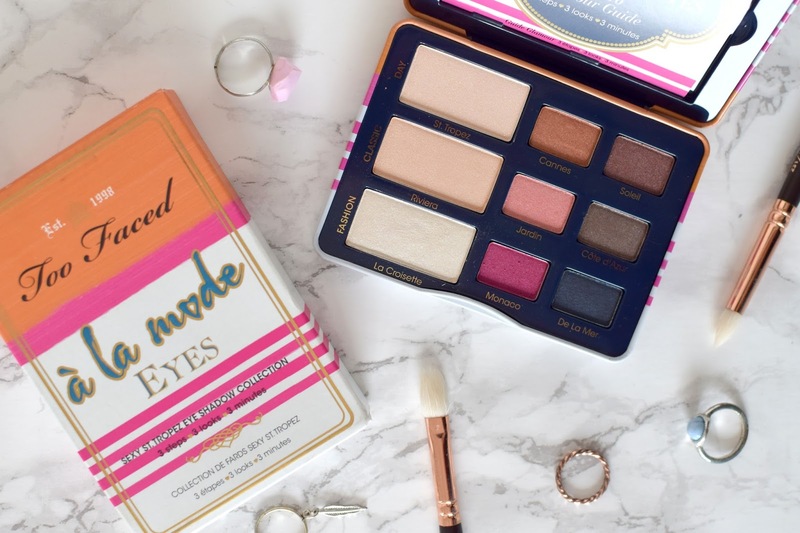 Have you used the Too Faced a la mode Eyes Palette? Are there any other Too Faced palettes you wold recommend? Oh my gosh, why do I never find bargains like this in TK Maxx?! So jealous and looks like an amazing palette! What a bargain! I love TK Maxx - I always seem to find some great OPI and Illamasqua nail polishes there, but I'll definitely be keeping an eye open for deals like this! The colours in this palette are gorgeous.